Vintage-Inspired Patterns for Today designed by Amanda Kastner. The pattern is printed on paper for more durability and ease of use. 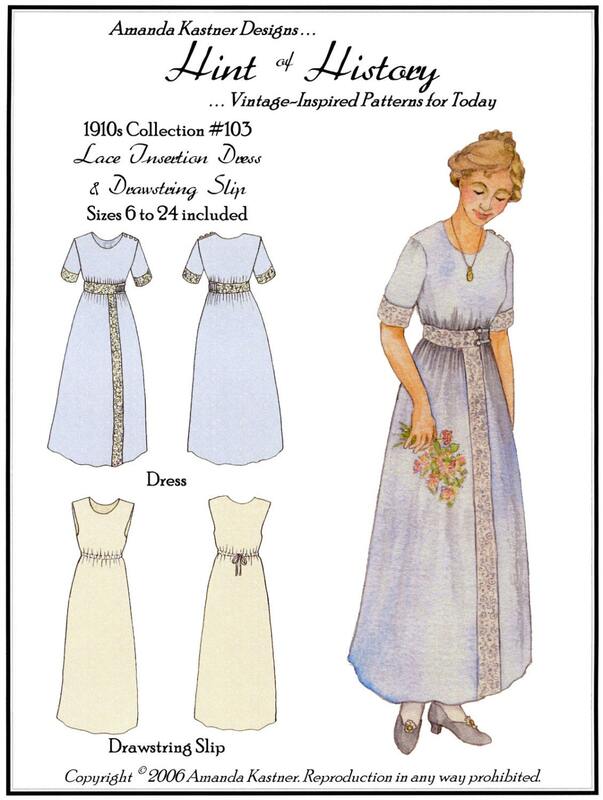 This pattern is based on a photo of a dress from the early 1910s. It features lace-trimmed sleeves and waist, with a strip of lace inserted down the front of the skirt. The dress closes with a buttoned shoulder placket and two button straps at the left side waist, with the option of a side zipper if needed. The accompanying slip pattern goes on over the head, and has a drawstring at the waist to take in extra fullness. 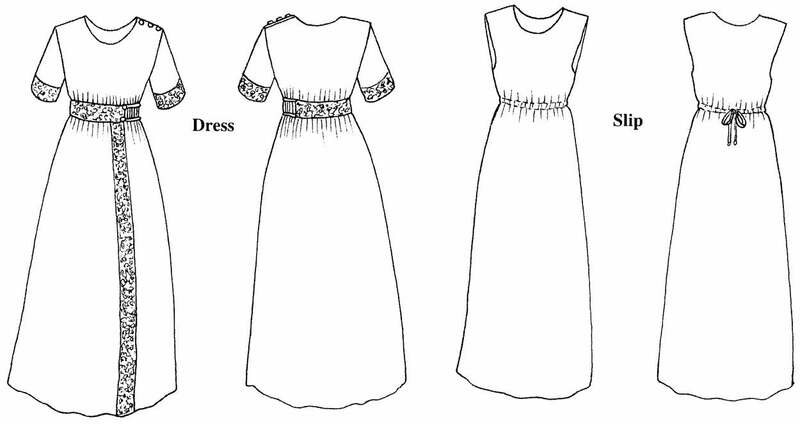 The pattern is rated intermediate for the closures and lace insertion. The pattern comes with a color cover in a resealable plastic bag. Sizes 6 to 24 are included for a custom fit.